I desire to make a public apology. This apology is for something I had forgotten I did, but yesterday was reminded that I did in back in 1970. Thinking that I was properly glorifying Srila Prabhupada but basing my statements on sheer misinterpretation, I did something really dumb. I was young. I didn’t realize that I was as good as saying that Srila Prabhupada was not in the bhagavat-parampara delineated by his Guru Maharaja, Srila Bhaktisiddhanta Sarasvati Thakura. I wrote in 1970, and I was also preaching throughout the 1970s, that my divine Guru Maharaja, Srila Prabhupada Bhaktivedanta Svami Maharaja, is a cowherd boy in his siddha-deha, his form as an associate of Sri Krsna in Goloka Vrndavana. I used to believe that to be true – in other words I used to derail myself and hundreds or thousands of my ISKCON brothers and sisters – until I met my siksa-guru Srila Bhaktivedanta Narayana Gosvami Maharaja, who gave Prabhupada’s mercy to me and thousands of other fortunate souls. He taught us Prabhupada’s true glory as a great Rupanuga acarya, a follower and preacher of the true mission of Sri Caitanya Mahaprabhu as established by Srila Rupa Gosvami, and a gopi maidservant of Srimati Radhika under the leadership of Sri Rupa Manjari. I am very repentant for my blunder, and at the same time I am very sorry that the book “O My Friend,” the aim of which is to propagate the same misunderstanding, quoted my silly blunder statements as part of their ‘evidence’ to prove their theory. 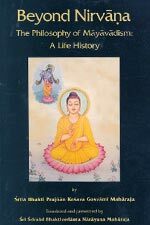 In the early 2000s, under the guidance of Srila Bhaktivedanta Narayana Gosvami Maharaja and with the help of senior Vaisnavas, I wrote an article refuting some misinformed internet statements on this topic. Then today, after hearing and seeing that my name (the name “Jadurani dasi”) and my misleading statements were quoted in “O My Friend,” I felt so sad. I therefore did some editing of that article with reference to the statements in “O My Friend,” and in my repentance I would like to share that article with you. This presentation is a response to the book, “O My Friend.” Therein the authors shared their idea that the relationship of our Srila Prabhupada, Sri Srimad Bhaktivedanta Svami Maharaja, with Sri Krsna is one of sakhya-rasa, as a priya-narma sakha, an intimate cowherd-boy friend of Krsna. The evidence quoted in this response shows that Srila Prabhupada, following in the footsteps of our previous rupanuga acaryas, is not at all a cowherd-boy. He is actually in madhurya-rasa. He has instructed us by his own activities in a very specific way, one which is entirely consonant with the precepts of madhurya-rasa given in the line of Srila Rupa Gosvami. A careful study of his writings and recorded instructions, as well as the writings of other acaryas, makes this very clear. Although the subject matter of this article is normally not discussed in a public forum, we were requested to do so by senior devotees, so that Srila Prabhupada’s position would not be misunderstood and Srila Prabhupada’s glory and mission would not be undermined. If his position is misunderstood, then so also is his mission. For many years, from the 1970’s, I also used to tell devotees that Srila Prabhupada is a sakha, or cowherd boy. I was unaware that by doing so I was not acknowledging him as a member of his Bhagavat-parampara. I was confused about his identity before I met Srila Bhaktivedanta Narayana Gosvami Maharaja, who brought light on Prabhupada’s glory. “The Krsna consciousness movement is conducted under the supervision of Srila Rupa Gosvami. The Gaudiya Vaisnavas, or Bengali Vaisnavas, are mostly followers of Sri Caitanya Mahaprabhu, of whom the six Gosvamis of Vrndavana are direct disciples. Therefore Srila Narottama dasa Thakura has sung “rupa-raghunatha-pade haibe akuti kabe hama bujhaba se yugala-piriti”…“When I am eager to understand the literature given by the Gosvamis, then I shall be able to understand the transcendental loving affairs of Radha and Krsna.” Sri Caitanya Mahaprabhu appeared in order to bestow upon human society the benediction of the science of Krsna. 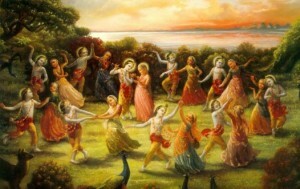 The most exalted of all the activities of Lord Krsna are His pastimes of conjugal love with the gopis. Sri Caitanya Mahaprabhu appeared in the mood of Srimati Radharani, the best of the gopis. Therefore, to understand the mission of Lord Sri Caitanya Mahaprabhu and follow in His footsteps, one must very seriously follow in the footsteps of the six Gosvamis—Sri Rupa, Sanatana, Bhatta Raghunatha, Sri Jiva, Gopala Bhatta and Dasa Raghunatha. “O My Friend” states that Gauridasa Pandita (an associate of Lord Nityananda) was in sakya-rasa, so Prabhupada must be too. It claims that although Gauridasa Pandita and his disciple Hrdaya Caitanya were in sakhya-rasa, Hrdaya Caitanya’s disciple Syamananda Prabhu tasted conjugal love. The inference there is that a devotee in sakya-rasa can give madhurya-rasa to his disciple. However, it fails to mention that in accordance with our Bhagavat-parampara, Syamananda Prabhu took siksa from Srila Jiva Gosvami, who was also in madhurya-rasa. Moreover, Gauridasa Pandita was not in the line of Srila Rupa Gosvami. He was certainly an eternal associate of the Lord, but he was not Rupanuga. In the Guru-parampara kirtana that we sing daily, he is not mentioned as one of the acaryas in the Rupanuga line. In his preface to Nectar of Devotion, Srila Prabhupada writes: “The present Krsna consciousness movement is also based on the authority of Srila Rupa Gosvami Prabhupada. We are therefore generally known as Rupanugas, or followers in the footsteps of Srila Rupa Gosvami Prabhupada.” This is also presented in the pranama mantras to Srila Bhaktisiddhanta Sarasvati Prabhupada: “madhuryojjvala-premadhya-sri-rupanuga bhaktida, sri-gaura-karuna-sakti-vigrahaya namo ’stu te. Again and again I offer obeisances unto Srila Sarasvati Thakura who is the mercy incarnate of Sri Gauranga Mahaprabhu, and who, as a follower of Sri Rupa Manjari, is bestowing ujjvala-madhurya-rasa, brilliant conjugal prema”. “Then what has He come to give? Unnatojjvala-rasam sva-bhakti-sriyam. 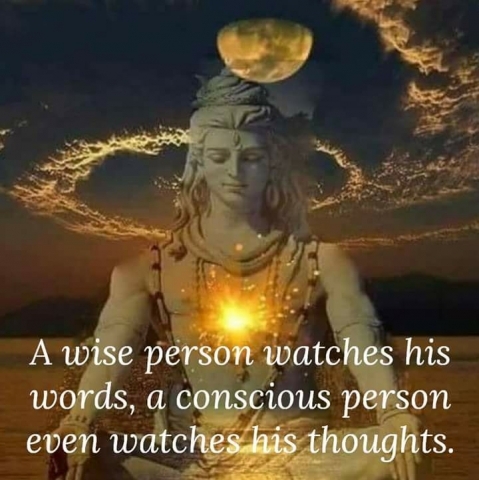 In this connection there is more emphasis on the final words, sva-bhakti-sriyam. ‘Sva’ means own. Own bhakti. Whose own? Srimati Radhika’s own. 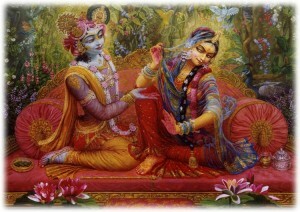 Krsna’s bhakti means Radhika’s bhakti, because Radhika is Herself the personification of Krsna’s bhakti. Sri Krsna wanted to taste the essence of supreme devotion to Himself, which is Radhika’s love, and He wanted to distribute to the qualified jiva His bhakti sriyam. ‘Sva’ means Radhika. ‘Bhakti’ means Radhika’s bhakti, and Sri means ‘shoba’, beauty. Sri Caitanya Mahaprabhu wanted to give the beauty of Srimati Radhika’s unnatojjvala-rasa. “The following example will help us to understand. Imagine a creeper. If that creeper has no leaves, no fruits and no flowers, then it has no beauty. There are so many very green leaves, and so many flowers here and there on each branch. There are also manjaris, and some very sweet and delicious reddish or golden mangos. Cuckoos always eat these mangos and sing very sweetly. If the air touches and plays with these creepers, all the leaves become happy and begin to dance. At this time the manjaris also dance in happiness. This is the beauty of that creeper. However, if the creeper has no leaves, no manjaris, and no fruits, the air will not play with that branch. It will have no taste to play. If we see a creeper playing with the air, its leaves going here and there, and always dancing, that is the beauty of that creeper. Similarly, Sri Caitanya Mahaprabhu wanted to give the beauty of Srimati Radhika’s unnatojjvala-rasa. The creeper represents Srimati Radhika Herself. And what is the beauty? Her sakhis. “The pleasure that Srimati Radhika experiences in serving and seeing Krsna cannot be given to anyone, but the mood of the maidservant gopis can be given. Sri Caitanya Mahaprabhu has therefore come only to give this mood of service to Srimati Radhika, the mood of leaning more towards Her service than towards Krsna’s, but ultimately serving both. Prior to Sri Caitanya Mahaprabhu’s appearance, Sri Ramanujacarya, Sri Madhvacarya and so many Vaisnava acaryas had already appeared. Incarnations like Lord Rama and Lord Nrsimha had also descended. All of Them gave a very special contribution to the world, but none of them gave this prema, called bhakti-rasa, which Sri Caitanya Mahaprabhu gave through Srila Rupa Gosvami. “There were so many great devotees present as intimate associates of Sri Caitanya Mahaprabhu – like the six Gosvamis, Sri Svarupa Damodara and Sri Raya Ramananda, but this sloka (sri-caitanya-mano-’bhistam…), composed by Srila Narottama dasa Thakura, was especially written to glorify Srila Rupa Gosvami. Because he is Rupa-manjari, he can understand the Lord’s innermost desires, and give to the jivas his own intimate service to Krsna. Srila Svarupa Damodara and Srila Raya Ramananda were Lalita and Visakha, and neither of their moods nor their specific type of service can be given. They serve Krsna like Srimati Radhika serves Him, in the sense that Krsna enjoys rasa with them and they taste Him directly. Just before our revered Srila Prabhupada departed from the vision of this world in November 1977, Srila Bhaktivedanta Narayana Maharaja visited him, accompanied by Pujapada Sesasayi brahmacari. At that time, Srila Prabhupada listened to Sesasayi as he sang Sri Rupa manjari-pada. In this song, Srila Narottama dasa Thakura glorifies the lotus feet of Sri Rupa Manjari as his dearmost treasure, his topmost object of worship, the object of his devotional practices, his wealth, the beautiful ornament of his life, and the very life of his life. Our whole guru-parampara, from Srila Madhavendra Puripada up to now; Sri Svarupa Damodara, Sri Raya Ramananda, and Srila Rupa Gosvami and all his followers – all are sakhis or manjaris. 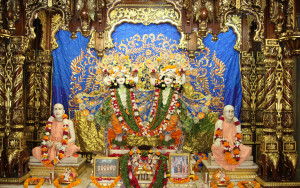 Sri Svarupa Damodara Gosvami and Sri Raya Ramananda are Lalita and Visakha respectively. The others, like Sri Rupa Gosvami, Sri Ragunatha das Gosvami and so on, are manjaris. If Srila Prabhupada were a cowherd boy, he would not at all be in the line of Srila Rupa Gosvami. Those who perform sadhana to become sakhas are not in the line of Rupa Gosvami. They are Raganuga Vaisnavas, but not Rupanuga. Raganuga-bhakti refers to all the mellow relationships with Krsna, like friendship, parental love, and conjugal love. (See C.c. 8, 153-157). Svarupa Damodara and Ramanada Raya are also not Rupanuga bhaktas. They are also not in the line following Rupa Gosvami. They are the gurus of Srila Rupa Gosvami. 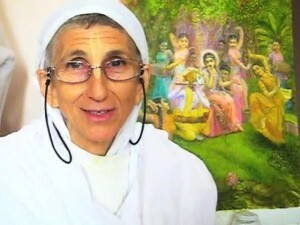 In our line – from Rupa Gosvami— our entire parampara consists of Rupanuga Vaisnavas. Prabhupada cannot be a sakha. We do not know of a single instance where an acarya in our Rupanuga line has a different svarupa and service from that of his guru, in whose footsteps he follows. Sadhakas of sakhya-rasa do not follow in the footsteps of Rupa Gosvami or Rupa Manjari. They follow in the footsteps of Subala who, according to the Gaura-ganoddesa-dipika, is Gauridasa Pandita in Caitanya-lila. 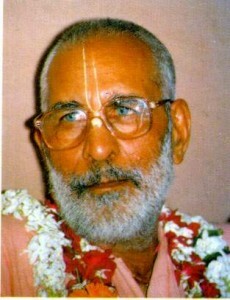 Gauridasa Pandita is a raganuga acarya in our Gaudiya Vaisnava sampradaya, but he is not in the line of Srila Rupa Gosvami. “To acquire this strong feeling of separation is the teaching of Lord Caitanya and His direct disciplic succession of Gosvamis. When we are not in physical contact with Krsna, we can associate with Him like the gopis, through feelings of separation. 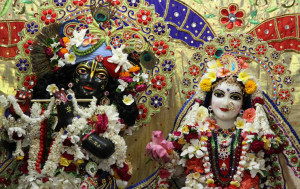 Krsna's transcendental form, qualities, pastimes and entourage are all identical with Him. “There are nine different kinds of devotional service. Devotional service to Krsna in feelings of separation elevates the devotee to the highest perfectional level, to the level of the gopis. It is stated in Srinivasa Acarya's prayer to the six Gosvamis that they left the material opulences of government service and the princely status of life and went to Vrndavana, where they lived just like ordinary mendicants, begging from door to door. But they were so much enriched with the gopis' feelings of separation that they enjoyed transcendental pleasure at every moment. Our Srila Prabhupada received diksa initiation from his Prabhupada, Srila Bhaktisiddhanta Sarasvati Thakura. Among the diksa mantras is the gopala mantra, which contains the words ‘gopi-jana-vallabhaya-svaha.’ This means, “I have accepted the same relation with Krsna that is accepted by all the gopis, ie: “Krsna is my beloved.” Srila Visvanatha Cakravarti Thakura has explained that this mantra is a gopi mantra, a mantra for developing the mood of the gopis. It is for ‘gopi bhava asraya’, taking shelter of their transcendental loving sentiments. The kama-gayatri is also only for becoming a gopi. It is not for any other mood. In 1966, Srila Prabhupada introduced his Guru Maharaja’s pranama mantras, and Iskcon devotees have been chanting them since that time. These mantras describe Srila Bhaktisiddhanta Sarasvati Thakura’s merciful distribution of rupanuga-bhakti and his intolerance of those misconceptions which are opposed to the precepts enunciated by Srila Rupa Gosvami. Srila Sarasvati Thakura also revealed his svarupa as Nayana Manjari to several of his most intimate disciples. In Gaudiya Patrika he also revealed the identity of Srila Gaura-kisora das Babaji as Guna Manjari. In a letter to Hamsaduta (Jan 16, 1969), Srila Prabhupada answered a question regarding the svarupa of his Guru Maharaja: “My Guru Maharaja’s position was one of the assistants of the manjaris”. 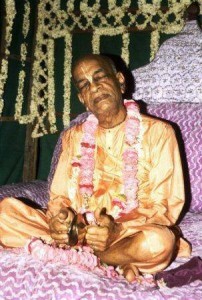 In 1959 Srila Prabhupada took sannyasa from his revered god-brother Srila Bhakti Prajnana Kesava Gosvami Maharaja, who is Vinoda Manjari in Krsna-lila. The sannyasa-mantra Srila Prabhupada received is the mantra of all sannyasis in the line of Srila Rupa Gosvami. It is a gopi-mantra, a prayer for becoming a gopi. “There are other friends who are still more confidential. They are called priya-narma, or intimate friends. Counted among the priya-narma friends are Subala, Arjuna, Gandharva, Vasanta and Ujjvala. A devotee once gave a leaf-cup filled with buttermilk to Srila Raghunatha dasa Gosvami. In his siddha-sarira, Ragunatha dasa Gosvami is Rati Manjari, one of the leaders of Srimati Radhika’s maidservants. When he heard that the leaf-cup had come from sakhi-sthali, the abode of Candravali, he immediately threw it away. Being completely loyal to his Svamini, Srimati Radhika, he even wanted to beat that devotee with a stick. 3) I never look at the area in Vraja called Sakhi-stahli where Candravali and her friends live. If I were to see that place, it would remind me of Candravali’s sharp-tongued gopi named Saibya. Although there is a certain intermingling of madhurya-rasa in the service of the priya-narma sakhas, they follow in the footsteps of associates like Subala, not the gopis. The priya-narma sakhas serve in the lila of Radha-Krsna in their own way, and the seva which they perform is clearly distinct from that of the manjaris. Srila Bhaktivinoda Thakura’s Jaiva-dharma describes a conversation between Srila Gopal-guru Gosvami and his disciple Sri Vijaya Kumara. Gopal-guru Gosvami told his disciple that he should come and speak with him privately, not with Brajanatha, because Brajanatha was a follower of Subal, and therefore had no adhikara (qualification) to listen to his madhurya-katha. Actually, this is also part of the speciality of Srila Prabhupada’s unnatojjvala-rasa, his constitutional position as a gopi. Srimati Radhika can also do this. Sometimes She serves Krsna like a mother, because the mood of mother is also there in Her, as stated in Sri Caitanya-caritamrta, Madhya-lila, 8.83-87. Sometimes Radhika also serves like a sakha, and in many of our Gosvamis literatures there are descriptions of this. Sometimes She wrestles with Krsna, jokes, plays dice and other games, and engages in water-sports with Him. Subala has to struggle to defeat Krsna in a wrestling match, but Srimati Radhika simply attires Herself in her wrestling garb, gives Krsna a sidelong glance and He becomes unconscious. In consequence, the divine existence of Prabhupada’s poem is not an indication of a position as a cowherd boy. But these two viewpoints – one of the confidential associates of Srimati Radharani” and “a manifested representation of Srila Nityananda Prabhu” are not mutually exclusive. ‘Either one or the other’ is understood in terms of two different viewpoints, not two types of spiritual masters. Nityananda Prabhu, being non-different from Lord Balarama, the original spiritual master, is akhanda guru-tattva, the embodiment of the complete principle of guru-tattva. As such, all the gurus in the line of Rupa Gosvami are His direct manifestations and are empowered by Him. Yet, at the same time, they are also maidservants of Srimati Radharani. In many of their songs they pray for the mercy of Nityananda Prabhu (Nitai Pada Kamala; Parama Karuna; Gauranga Bolite Habe etc.). Considering all of this, it is clear that the word “or” in the Caitanya-caritamrta Adi 1.46 purport cannot be construed to simply mean ‘one or the other’. Certainly it means that the identity of the spiritual master is to be understood both in terms of the principle of guru-tattva, as well as in terms of the guru’s manjari-svarupa within the lila of Goloka Vrndavana. There is another interesting point. Nityananda Prabhu has two forms in krsna-lila. One is Ananga Manjari and the other is Sri Baladeva Prabhu. Therefore, some of His associates in Goloka Vrndavana are associates of Ananga Manjari as manjaris, and others are associates of Baladeva. In his Gita Mala, Srila Bhaktivinoda Thakura speaks of himself as a follower of Ananga Manjari. “Since there is no prominent Krsna-Balarama temple in Vrndavana, we are attempting to construct one so that people will be attracted to Krsna-Balarama, or Nitai-Gauracandra. “Vrajendra-nandana yei, saci suta haila sei”. Narottama dasa Thakura says that Balarama and the son of Maharaja Nanda have advented Themselves as Gaura-Nitai. To propagate this fundamental principle, we are establishing a Krsna-Balarama temple to broadcast to the world that worship of Gaura-Nitai is the same as worship of Krsna-Balarama. “Balarama is white, and there is a reason for it. You see, Balarama is Nityananda prabhu, Nityananda Rama…“Nitai-pada-kamala, koti-candra-susitala”. His lotus feet are as cool as the cooling effect of crores of moons. So, what is the color of moonlight? That is white. So much mercy. Therefore Balarama has a plow in his hand, and Krsna a flute. That is Krsna-Balarama, plow and flute. So first cultivation; karsana is needed. Then all nasty weed-like things will be rooted out. The field should be cultivated properly with the plow of Balarama, then the field of the heart, hrdaya-ksetra, becomes fertile, and the seed of the devotional creeper, bhakti-lata, will be sown. “That should not be a barren land. If you sow the seed in a barren land, the seed will never fructify. That is what Gopinathacarya said to Sarvabhauma Bhattacarya, “Why am I sowing seeds in a barren land? I am doing useless labor, because it will never fructify.” So, after proper cultivation by Balarama’s plow, when the land is fertile, the seed should be sown. Then, when you develop prema-bhakti you will be attracted by Krsna’s flute. The flute means akarsana, attraction. Karsana-akarsana, cultivation and enchantment. So, this is the Krsna-Balarama Mandira." The worship of Sri Sri Gaura-Nitai is especially suitable for those who are fallen and lack the qualification to perform devotional service. There is no consideration of offences in Their worship. Mahaprabhu and our acarya-parampara, guru-parampara, we find that all the gurus there are of madhurya-rasa, not sakhya-rasa. Mahaprabhu Sri Caitanya, then Svarupa, Rupa, Sanatana, Kaviraja, Narottama, Visvanatha Cakravarti, all; Gaurakisora dasa Babaji Maharaja, our Prabhupada, Bhaktivinoda Thakura – all are acaryas of madhurya-rasa. “And Prabhupada, our Guru Maharaja, also followed the same path: Radha-Govinda, and both of them combined is Mahaprabhu. When Radharani is [there with Krsna], Baladeva cannot stay there by the side of Krsna, because there will be a clash in the service, or rasa. Baladeva is the elder brother of Krsna, and when Krsna is with His elder brother, Radharani cannot approach Krsna there at that time; and when Radha-Krsna are there, then Baladeva can't come there. There is a clash in vatsalya- and sakhya- and madhurya-rasa. “And Prabhupada closely followed this line – that Mahaprabhu can stay, [as He is] both Radha and Krsna combined, nothing else. So where Radha-Govinda are, then Mahaprabhu can stay in the same place. Both combined; but no other rasa, representation, to be there. Only the sakhis of Radharani, the loving friends of Radharani, they can stay there. 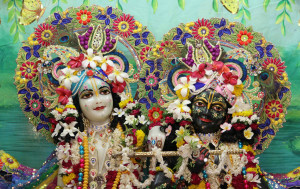 They are also of the same tendency of madhurya-rasa service, so they may stay with Radha-Krsna. “So when I heard that Svami Maharaja had installed Radha-Govinda and there some sakhis are also in their side, but Krsna-Baladeva [are situated] separately, and Gaura Nityananda are also [situated separately, in a separate prakostha], this is by the analysis of the rasa; the ontology of love, the psychology. “Increasing love is experienced in various tastes, one above another. But that love which has the highest taste in the gradual succession of desires manifests itself in the form of conjugal love. There is a gradual order of improvement in transcendental mellows from the initial ones to the later ones. In each subsequent mellow the qualities of the previous mellows are manifest, counting from two, then three, and up to the point of five complete qualities. 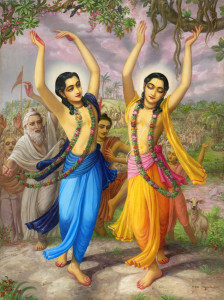 It is this madhurya-rasa that Sri Caitanya Mahaprabhu especially came to give, through a development, beginning from vaidhi-bhakti performed in the association of pure devotees, leading to raganuga-bhakti, and then on to ragatmika-bhakti, the fully-blossomed love of the residents of Vrndavana. Srila Prabhupada established temples, schools and farms, and the beginnings of varnasrama. He also published many books in several languages, and he travelled several times around the world to give his personal association. Development of this type of ragatmika-bhakti in the conditioned souls was his ultimate goal throughout all these activities. The conclusion then, is that Srila Prabhupada is one of the intimate palya-dasis, assistant maidservants, of Srimati Radharani, and the mercy-potency of Sri Caitanya Mahaprabhu. People and devotees understand this topic, and all topics, according to adhikara (qualification) and sanskaras (impressions on the heart due to activities in this and previous lives). We have no intention to minimize anyone. Our only intention is to defend the true glory of Srila Prabhupada and his guru-parampara.